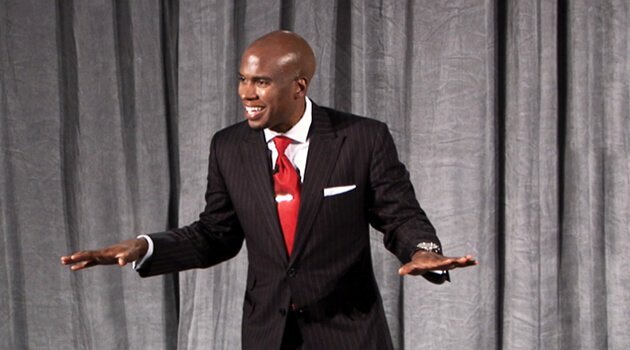 Jonathan Sprinkles is an award winning speaker and business strategist. For more than 10 years, Jonathan has been delivering programs on personal and professional leadership that have gotten him featured on ABC, Fox News, Headline News, and Forbes.com. In addition, he was voted National Speaker of the Year by the APCA, and Mentor of the Year by the Disney Dreamers Academy. As author of several books and articles, including Take Your Leadership to the Next Level and Be the One, his writings have been published internationally and are frequently cited by industry experts. Jonathan Sprinkles is living proof that success isn't about where you start, it's where you choose to finish! STEP UP, LEAD AND BE THE ONE!